[Updated, 4/15/10, 11:07 am ET—See editor’s note] Hungry cancer cells beware. Cambridge, MA-based Agios Pharmaceuticals has become $130 million richer through its new deal with the venerable drugmaker Celgene to advance drugs intended to starve cancer cells to death, the companies report this morning. 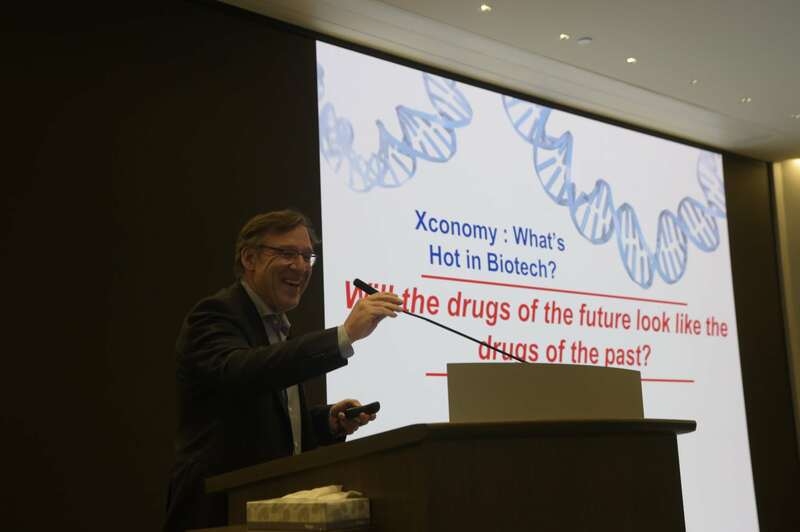 Summit, NJ-based Celgene (NASDAQ:CELG) is paying big bucks to Agios in the form of payments and equity investments for an exclusive option, for a certain time span, to license and develop any of Agios’s experimental cancer drugs. Agios can also earn up to $120 million in milestone payments for each of the drugs Celgene decides to license. Celgene can also pay Agios to extend the life of this arrangement, which essentially makes Agios into Celgene’s own cancer metabolism drug unit for a limited amount of time, without Celgene having to outright acquire the startup. This deal is the latest in a series of big plugs for Agios and its approach to treating cancer. The company, formed in July 2008, is discovering drugs intended to block metabolic enzymes that nourish tumors. Last November the company caught the attention of the cancer research community with its first major paper in Nature, which showed that in lab experiments an enzyme previously thought to be innocuous could mutate into a nasty culprit in feeding brain cancer cells. The findings opened up the potential to develop drugs that target the mutated enzyme to treat cancers in which it is present. And last year the company also recruited David Schenkein, a former head of cancer drug development at the biotech powerhouse Genentech, to be its chief executive. “This transformational alliance provides Agios with the long-term resources and flexibility to extend our leadership position in the cancer metabolism field and to advance our capabilities and programs as an integrated, independent company,” Schenkein said in a statement. Agios has now raised, through alliances and investments, more than $163 million in less than two years. That’s a whopping sum for a young biotech launched in these turbulent financial times. (Agios previously raised $33 million in a Series A round of funding from Boston-area firms Third Rock Ventures and Flagship Ventures, as well as Arch Venture Partners in Seattle.) Still, the startup hasn’t proved that its drugs are safe or work in humans, and it will take years and lots of successes in clinical trials for the company to earn the lucrative milestone payments promised in its deal with Celgene.